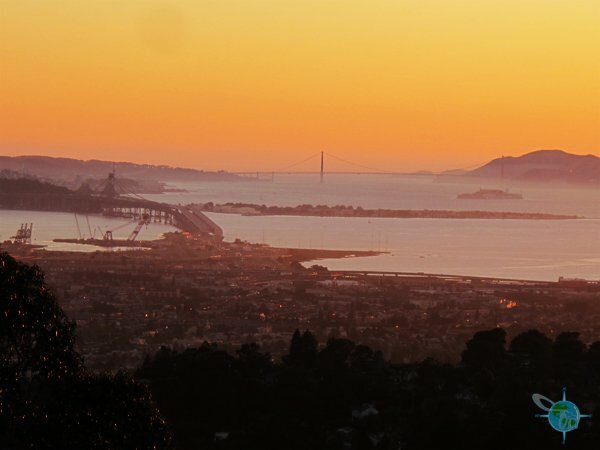 Berkeley is San Francisco’s more liberal neighbor across the bay that can be accessed by ferry or BART. 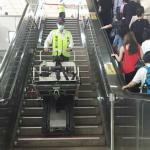 It is home to many disabled residents, particularly those that use wheelchairs. Getting around by bus in Berkeley is affordable and commonly used by all. The city itself is broken up into a couple of neighborhoods some of which have very popular streets for locals and tourists to gather and mingle. 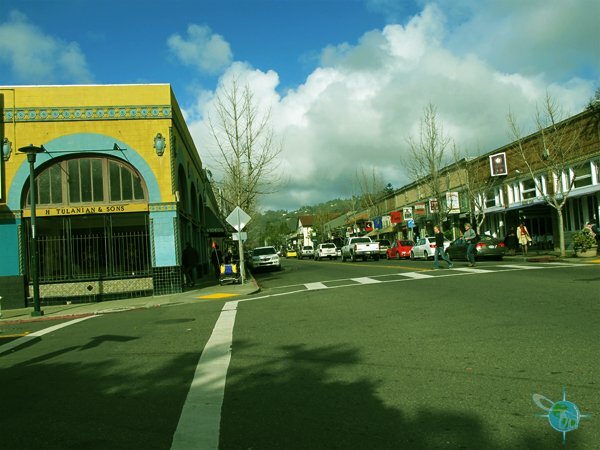 A funky mix of street vendors, shops, and cafés as well as tattoo and piercing parlors align Berkeley’s Telegraph Street, one of the most popular areas for locals, college students, and tourists to hang out. Stretching out from the edge of the UC Berkeley campus, the paved sidewalks of Telegraph are at a slight incline so be prepared for a little work out and possibly maneuvering around the occasional pothole or vagabond. Inconveniently, there are no public restrooms but the majority of restaurants will have an accessible one but you will need to be a paying customer. Handicapped parking spots are available sporadically up and down Telegraph along with meter spots that are free if one has a disabled placard or license plate. 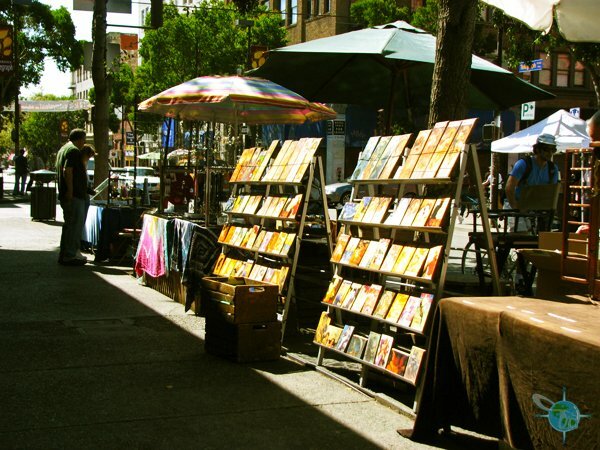 All along Telegraph there are places to buy exotic teas and oils, used books, and fresh flowers. There are also many different jewelry and clothing stores carrying everything from modern to Indian designs. 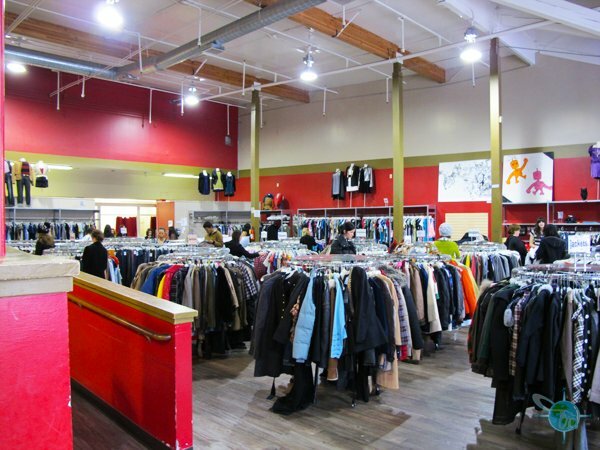 You will also find stores like, 501 Skateboarding, Volcom, and Hot Topic.Buffalo Exchange is a fantastic used-clothing store chain and the one in Berkeley is one of the best . There are two levels to the store and has a ramp to access both areas. You can also sell your slightly-used clothing for cash or credit towards a store purchase. Everywhere on Telegraph are vendors selling all sorts of hand-crafted items, stickers, sculptures, paintings, rocks, knitted hats, jewelry, and even hair wraps. 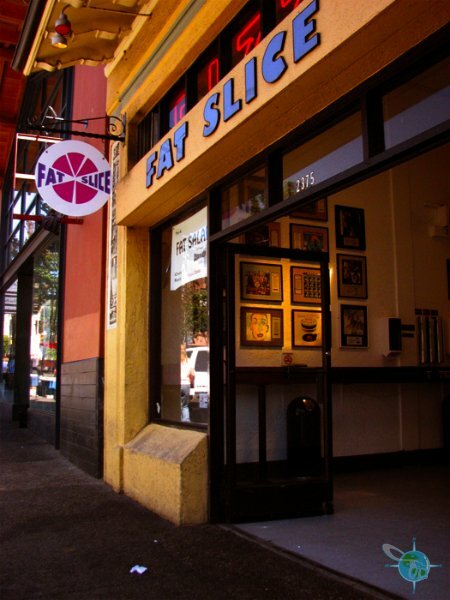 From Indian to Mexican to Japanese to Vegan to Berkeley’s famous Blondie’s Pizza and Fat Slice, there is a mix of places to eat whether you are looking to dine or have a quick bite. 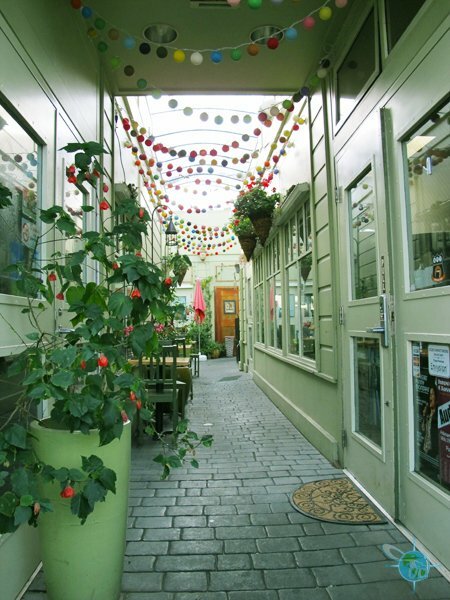 You will also easily find a variety of cafes, tea and coffeehouses, and bars all along Telegraph. 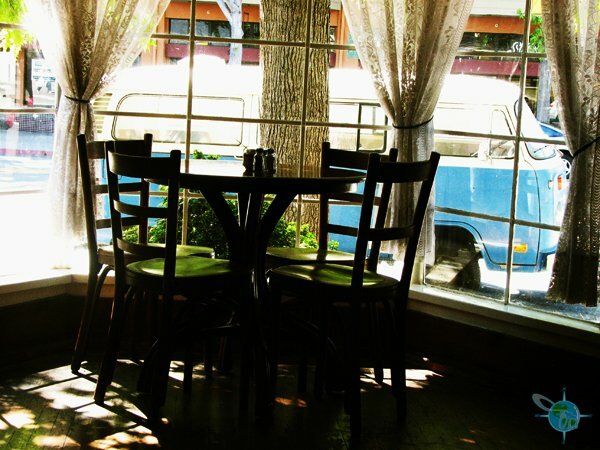 Still on Telegraph but off the main strip (away from the UC Berkeley campus) is a charming restaurant and coffeehouse called Le Bateau Ivre. The French-inspired menus for lunch, dinner, breakfast, and brunch are all delicious; the French Onion Soup is particularly tasty and satisfying. If you are not hungry then come in for a cup of house-roasted coffee or imported beer and sit inside in either welcoming dining room or outside on the quaint patio. 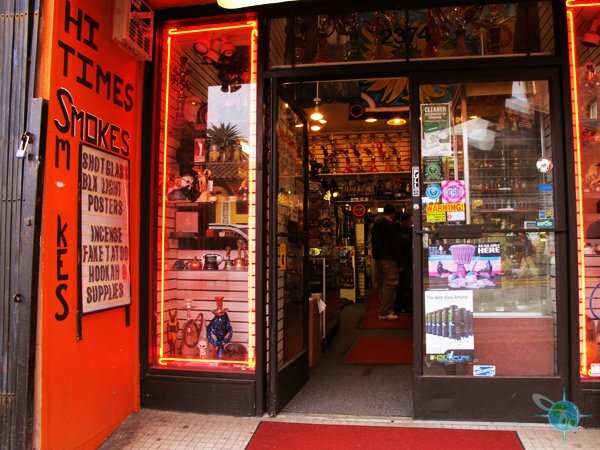 There are also two diverse music stores, Rasputin’s and Amoeba with new and used CDs, LPs and DVDs. 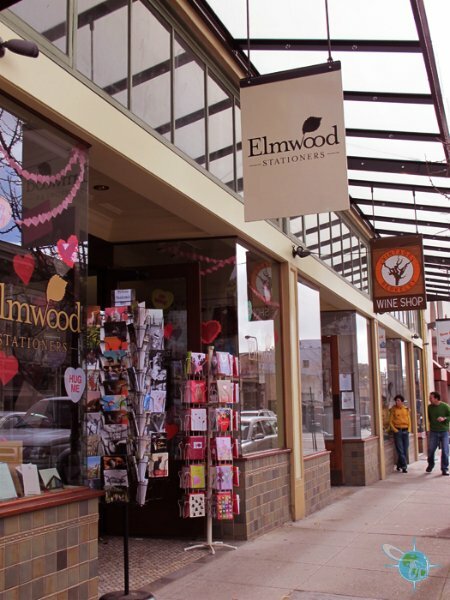 The Elmwood Shopping District on College Avenue is a charming and clean part of Berkeley with very little graffiti. 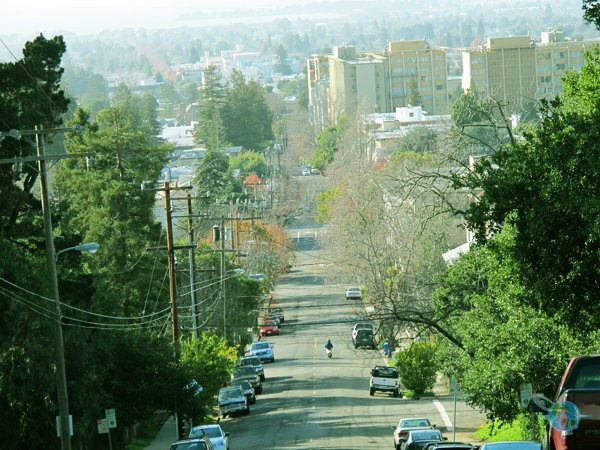 It’s located several parallel blocks from Telegraph and not too far from the Claremont Resort Hotel. Unlike Telegraph Avenue that has a slight incline, College Avenue is flat. 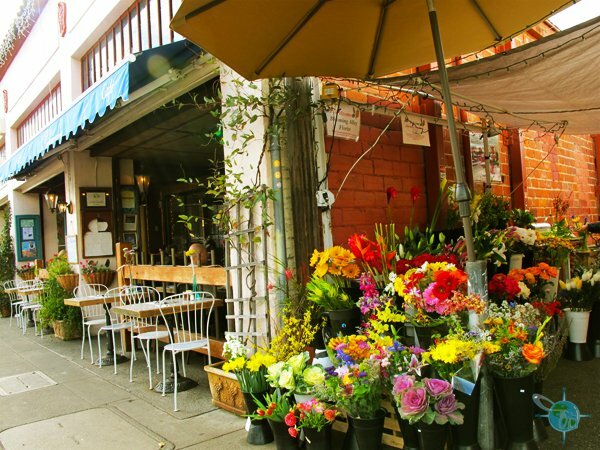 Shop owners are friendly and have their doors open on warm days. 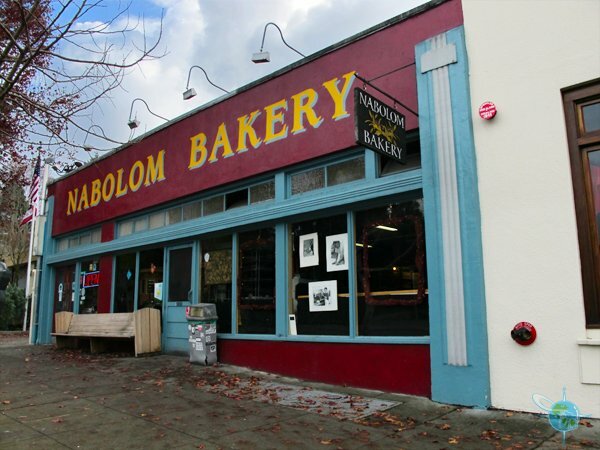 There are all kinds of tasty places to eat no matter if your looking for international cuisine, handmade ice cream, or a cup of coffee and a pastry at an inviting bakery, like the Nabolom Bakery. A great place to get a deli sandwich would be A.G. Ferrari Foods. If looking to catch a movie then see what’s playing at the Elmwood Theater. 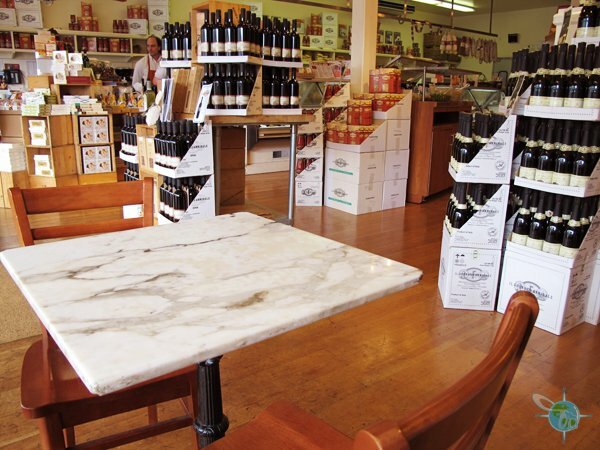 Or even if you want to do some wine tasting there’s a shop for that. 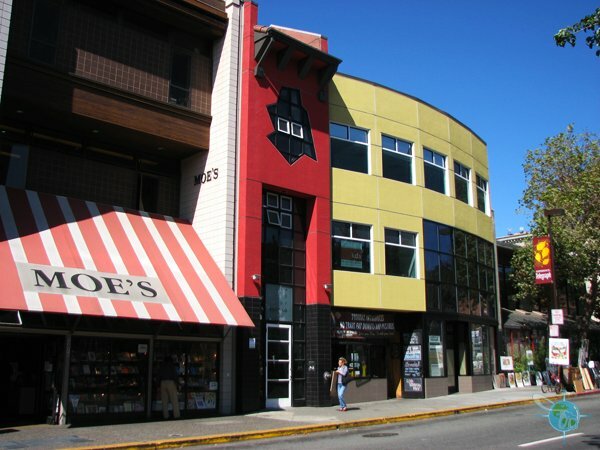 Like many other liberal towns, along College Avenue one can get a psychic reading if it’s in the stars, support a local book store (below left photo), or peruse the pet store specializing in birds only called “Your Basic Bird“. Far Leaves Tea House is a cute tea shop where you can buy exotic picked teas or enjoy a cup by the window if the one table is open (now located on San Pablo Street). Even the restroom inside is wheelchair accessible. 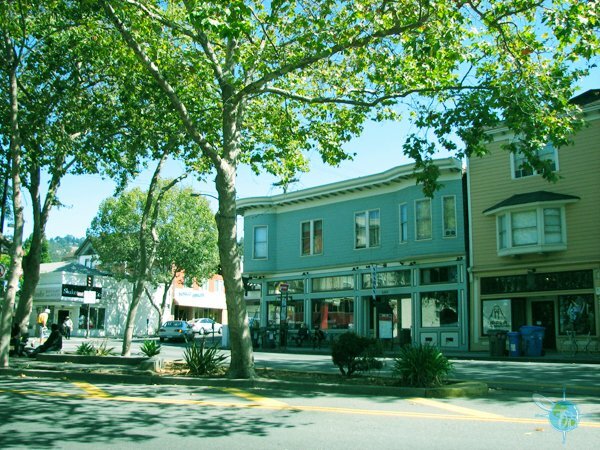 Is a very popular street with a many shops, restaurants, and movie theaters. 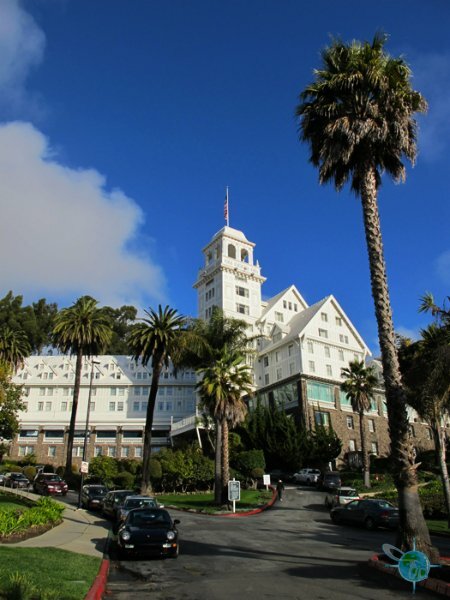 If using BART you can also find a wheelchair accessible elevator to get you to the platform on Shattuck Ave.
One of the oldest buildings in Berkeley is the Claremont Hotel and Spa. All of their ADA rooms have a roll-in shower. Even if you are not staying here, the Claremont is fun place to enjoy a cocktail or dine at. The hotel sites on top of a hill so you can see beautiful views of the bay and the city of San Francisco. The Claremont also have a large pool area with a cabana, so you can also come to the pool and enjoy drinks and club-style food by the pool. The pool is equipped with an accessible lift and restroom nearby are also wheelchair accessible. The shower area in the bathroom does have space for a wheelchair to roll-in without any barriers. 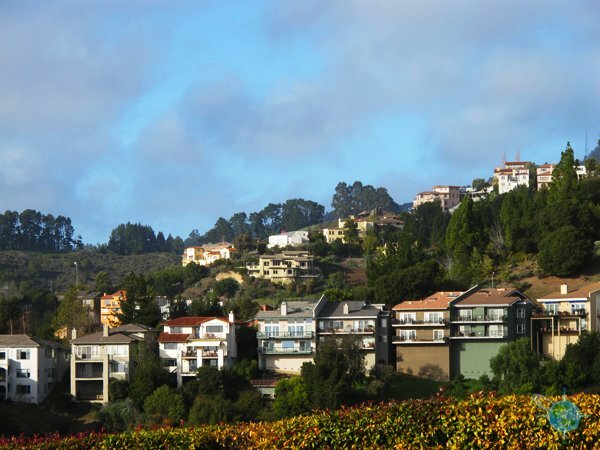 Not too far from the Claremont Hotel and Spa is the U.C. Berkeley Botanical Garden. Very few areas are paved as the majority has a more nautral pathways of packed dirt. 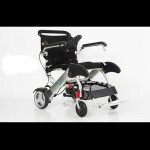 Those with power assistance, will be able to navigate around the property with better ease as there are some slight inclines. Handicapped parking is available across the street, which includes going up a series of ADA ramps. The landscape of the garden is centered around local plant species native to California. Open hours vary, so check the website for complete details. 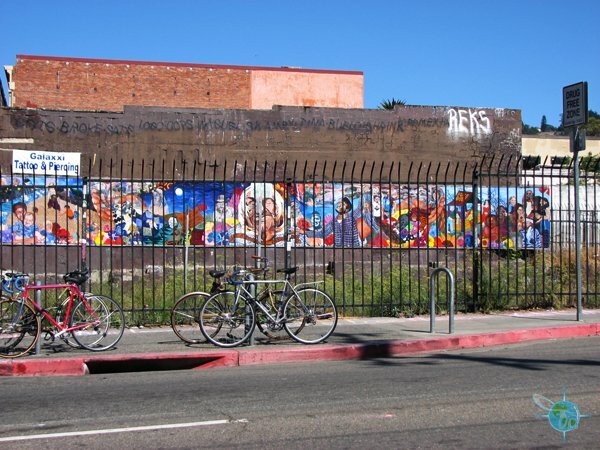 Also located in the heart of Berkeley is the outdoor music venue, the Greek Theater which frequently features an array of popular and even super-star-status performers. Handicapped parking is a problem. Nearby public parking structures do have spaces but they fill up very quickly, so plan to park hours in advance of a show for better chances. The Greek Theater does offer a handicapped loading and unloading zone. From any parking structure to the venue can also be challenging for some as the pathway is at a constant incline. It’s best to adjust your seats to accessible ones prior to the show but accommodations can be made the day of, but you will get what ever is available. For those unable to walk up stair there are a number of accessible seats surrounding the stage. The acoustics are incredible at the Greek Theater and every accessible seat has a clear view of the stage. Accessible restrooms are available at the first-aid center at the venue which is clearly marked or you can ask an usher to direct you. No one is allowed to use this restroom unless handicapped. A company to know about located at the Berkeley Marina is BORP (Bay Area Outreach and Recreational Program). All year-round this non-profit hosts a variety of outdoor activities and events that have all been adapted for people with disabilities. 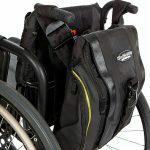 Their biggest draw is for adapted cycling but there’s a lot more than that. 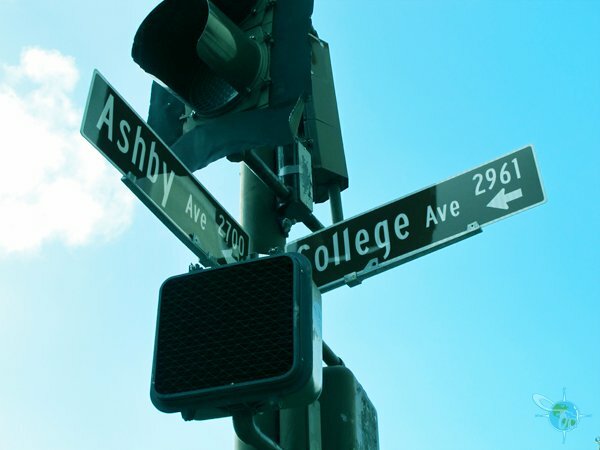 A great resource for locals and visitors alike in Berkeley is the Ed Roberts Campus, a universally designed building located in front of the Ashby BART Station. The building houses a few organizations directed at improving equal access for everyone but is also used by a number of disabled organizations to host events, support groups and informational seminars about accessibility.